There are plenty of teams capable of winning the NBA finals this season but to do that they will have to navigate their way past the likes of Golden State Warriors and the Cleveland Cavaliers. The Cleveland Cavaliers managed to get revenge on Golden State Warriors last season in an emphatic 4-3 win after losing 4-2 to them the season before. Cleveland Cavaliers managed to come back from a 3-1 deficit and pip Golden State Warriors to the championship in what would have been the Warriors second on the bounce. It’s not surprising to see both teams heading the list of favourites thanks to getting in the finals for the last two seasons running and odds would suggest both teams will be in the mix for the upcoming 2016/2017 season as well. 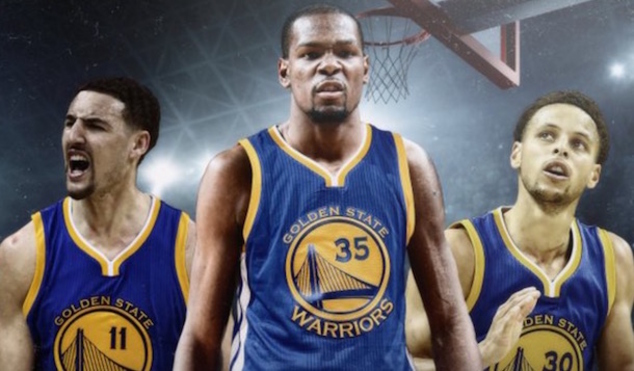 The NBA betting odds have Golden State Warriors favourites to win the upcoming season at 5/6 with Cleveland Cavaliers following them closely at odds of 3/1. There are a few other teams in the mix this year all capable of winning the finals and with the experience of San Antonio Spurs doesn’t put them out of contention with odds of 7/1 either. 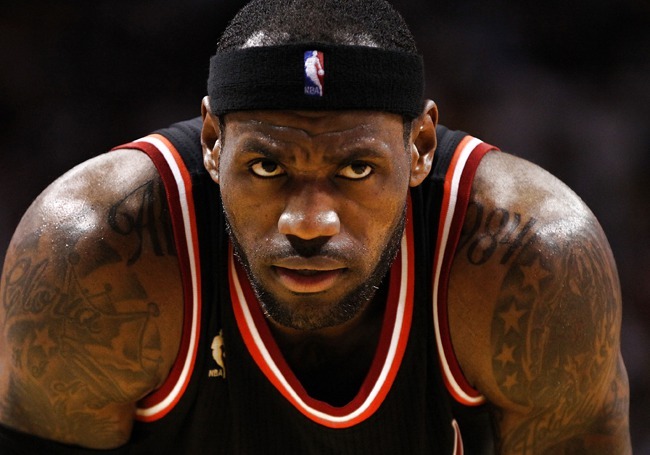 It’s surprising to see Miami Heat struggling in recent years seeing as they were such a force in the previous 4 seasons prior to the last two – but with the loss of Lebron James to the Cleveland Cavaliers hasn’t done them any justice, they can still be backed at 40/1 to win the championship if you think they can change their fortunes around. Other teams such as the New York Knicks and LA Lakers don’t look like they have enough quality in their rosters to compete with the favourites which is why they can be backed at a massive 40/1 and 150/1 respectively. 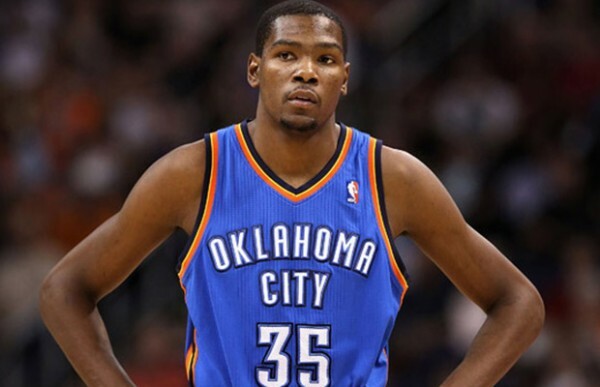 Oklahoma City Thunder looked like they were getting backed for a fair amount when they were at 7/1 to win the upcoming championships; however, they have now drifted to a massive 33/1 which was all to do with Kevin Durant ditching them for the Golden State Warriors, making them even more superior in the process. 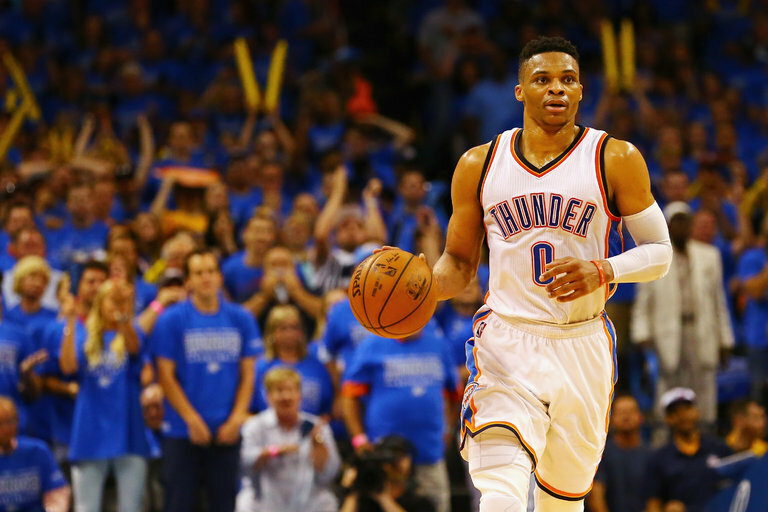 That doesn’t necessarily put Oklahoma City Thunder out of contention either as they have managed to keep the core of their roster from last season so with a brilliant replacement they could be up there come the end of the season. Boston Celtics (20/1), LA Clippers (22/1), and Toronto Raptors (28/1) shouldn’t be written off just yet as they look to their roster for some additional improvements. The Dallas Mavericks haven’t come up with a lot in recent seasons which is why they can be backed as high as 80/1. Other teams such as the Memphis Grizzlies (66/1) or Indiana Pacers (66/1) might spring a surprise but with the quality in front of them it would be hard to see anything happen. It’s definitely going to take something special for anyone other than the Golden State Warriors to get into another NBA final for the third time in a row especially now as they have Kevin Durant added to their already strong roster. The only teams that can pip them to the title this season is the Cleveland Cavaliers and San Antonio Spurs, all of the other teams will definitely have to come up with something spectacular. Cleveland Cavaliers are playing great at the moment and with odds of 3/1 would suggest they have a very good chance of retaining their title. Boston Celtics have been tipped to the title at a massive 20/1, which is good enough for an each way bet at least. Stop right there: we know the type of person about to read this guide. You don’t want to just know about slot games; you want to take a step “behind the curtain” and learn about the developers that bring these interesting games into existence. After all, there’s a lot more going on behind the scenes than meets the eye. For example, what about a NetEnt casino game? What does NEtEnt really do that makes their games come alive? You might have heard of a few Net Entertainment (NetEnt) slot games, like Arabian Nights, Dazzle me, and Devil’s Delight. What you might not realize is that this company has not only run their own casinos online in the past, but they also develop tons of games. They have been around since 1996, and even pioneered their own casino software. They made a Java-based software suite, then converted it over to Flash at a later point. Did you know that they still run a progressive jackpot collection? It has even paid out real money! Their games have a huge cult following because of one reason: they go above and beyond to make them interesting. Gone are the days of people just wanting to pull a lever and see fruit symbols rolling around. These games are often done in 3D, with bonus features aplenty. Progressive jackpot slots are attractive because everyone dreams about winning the big payday. However, in order to win…someone else has to lose. That’s the only way to make the meter go up, and one day it may get so large that someone will be considered super lucky if they win. We think that there’s room for more NetEnt slots, and the company tends to have zero problem licensing the hottest brands in order to build slots. They have an Aliens slot as well as a Big Bang Theory, two franchises that would be difficult for other companies to lock in…but not hard for this Swedish-based corporation. Are the games fair? Absolutely! NetEnt casino games are actually double verified for randomness by two international companies; one in Sweden and one in Canada. They make sure that everyone has a fair chance to win because this attracts even more people. After all, who doesn’t like fair play? Check this company’s collection of cool games out for yourself! If you want fast action, look no further than basketball. The slam dunks, the quick dribbling action, the sheer speed of the basketball players makes for great entertainment. But if you’re trying to wind down and shift gears, might we recommend Automaten Herz free roulette online or free slot games? You can check out a wide selection of games at Automaten Herz, but we also wanted to talk to you a little about the benefits. See, there are so many different games out there that it would be difficult to list them all. If you’ve never played any slot games before, then it’s time to jump in with both feet. 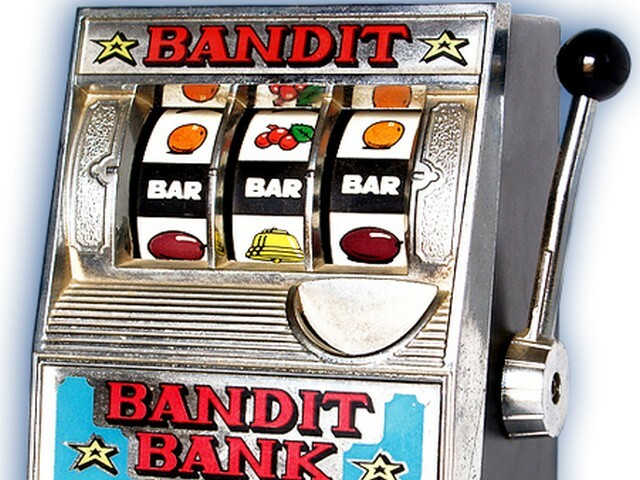 Now, a lot of people have played slots only at land based casinos, so that’s all they know. While you don’t have any nice servers offering you free drinks as you play, you do have incentives to play online. Being able to trial out a slot for free is a great feeling. Not every slot is as fun to play as it looks at first. We’ve been disappointed many times, and would have been even more disappointed if we had to play for real money. Go in and start looking at all of the different slot games today. You can test them out, get a feel for how the game works, learn more about it and also start seeing what the game developers are doing, if you have that type of creative mind. No one likes being bored, but not everyone wants to go full throttle. The beautiful part about video slot games is that you always have the choice to stop when you want to stop. You’re not playing something like bingo, where you have to wait until the round is completely over or risk forfeiting. The spins are very fast, so if you decide that you want to go and watch a movie, you can log out quickly and move on to another subject. Looking at all of the different slot games will give you an idea of what you like, what you want to avoid, and which features you want more than anything else. We’re pretty partial to 243 and 720 Ways to Win slot games, so make sure that you’re on the lookout for those. Again, check all of these great slot ideas out at Automaten Herz, where you really get a clearer picture of great games! The 2015-16 NBA season is still months away but the excitement is building for what looks to be another excellent season. This comes after one of the best off seasons we have seen in a long term. Unless you might be a fan of the Dallas Mavericks or the Portland Trailblazers as well as a few other teams. 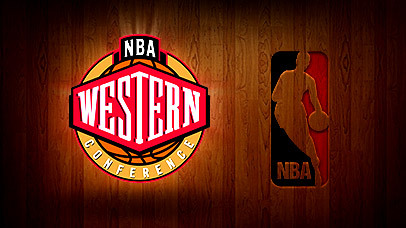 The question we would like to know like the rest of you is which team is the best team in the Western Conference. This isn’t the case in the Eastern Conference as the Cleveland Cavaliers look like the early favorite to return to the NBA Finals for a chance to bring home the teams first title. For many this might be an easy answer since the Golden State Warriors will be looking to defend the NBA title. On the other hand the San Antonio Spurs have been busy this offseason making sure their own stars return while also adding All-Star LaMarcus Aldridge and veteran David West. Aldridge is coming off his fifth straight season averaging over 20 points a game. His numbers have been spectacular the past two seasons as he has put up at least 23 points a game to go with at least 10 rebounds a game. West on the other hand will give the team another veteran to come off the bench that can provide both scoring and physical presence on the glass. Then you have the Los Angeles Clippers who not only managed to find a way to steal DeAndre Jordan back from Dallas but also managed to pry Paul Pierce away from the Washington Wizards. The moves kept coming on Friday as veteran small forward Josh Smith agreed to terms. Now the Clippers have even more depth then in 2015 where a late game collapse might have kept them out of a chance to play Golden State. The team will also have All-Stars Chris Paul and Blake Griffin back in 2015-16. The early edge looks to go to the Spurs but we could see any of these three teams making some serious noise come postseason time next season. The NBA is an interesting wager, because the gambler has to keep up on the game they’re betting. Throughout the season, several teams will rest their star players, especially when there are back-to-back games. In addition, there are several times when a player has an injury and might be out for the game, but no one truly knows until the last minute. This can have a negative effect on any sports bettor. In order to overcome these scenarios, it’s important to find a game where most players are playing. If there are still injuries, make sure those players won’t really have a major impact on the game. This can take some time to research, so make sure you allow yourself enough time to study each game. Often times, individuals will spend so much time researching, they will forget to place their wager before the game starts. Back in the mid-1990s, I used to have this solid formula for betting NBA basketball games. Over the past hour I’ve been trying to remember what it was, but nothing is coming to mind. However, over 40 games I was 37-2. This is a pretty huge winning percentage, and had I actually been betting at that time, I would have made a ton of money. However, the game has changed, and I’m pretty sure (whatever it was) my old school formula wouldn’t work. One of the biggest reasons is because the rules today are much different than the 1990s. In those days, the NBA was full of post-up players who would get to the free-throw line consistently. Today, the 3-point game and fast breaks rule the league. 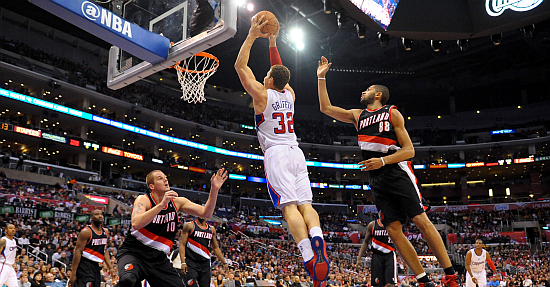 A lack of free throws has a huge impact on spreads, as well as over and unders. The domino effect continues, because the lines Vegas throw out on a game fluctuate differently. One area I like to research when gambling on the NBA, is what team will be playing at home after a road trip. If you go back and research the last 5 years, most of .500 hundred or better (in this scenario) won their first game back at home. In addition, the home team went to the free throw line more than their opponents. Building this knowledge will take some time, and itís good to wait until the first quarter of the season is over. During the first quarter of the season you can test this strategy by playing money lines and simply taking the home team. If you succeed, then start wagering the spreads. I would even recommend betting on teasers, just to enhance the spreads. Taking a controlled approach in the beginning is a smart choice. It will allow you minimize your risk on the front-end, and increase your winnings on the back-end. Just make sure you don’t try to cut corners. If you don’t spend the time researching, you’re considered a gambler. If you do the research and spot the smartest wagers, you’re considered a professional when it comes to wagering on NBA games. Are you hungry? Do you dream about winning big on a few sporting events? If you’re looking for a good win, look no further than basketball. 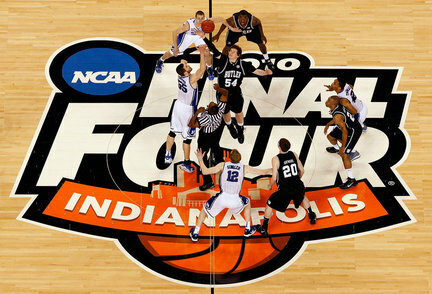 Keep in mind that we’re talking about a sport with two leagues: NBA and NCAA. The NBA, as you might imagine, are the pros. But the NCAA shouldn’t be ignored just because they’re amateurs. It’s possible to bet well on NCAA games and walk away with good money. But you have to make a few allowances that you wouldn’t have to with the NBA. First and foremost, you need to realize that if a team has multiple away games in a short amount of time, it makes them weaker than if they had more time to rest and relax. Your standard professional NBA player has some time in the game, so he’s used to playing hard like that. The student athlete has class on top of a hectic schedule, so there’s more chance for them to be weary. If they’re exhausted, they’re not going to put their best forward. That’s a boon for a punter that knows how to look beyond the ESPN headlines and hype. Next, you want to see who the star players are for every team that you’re interested in. Get to know these players, especially if they’re really promising. They will probably be ushered into the NBA as soon as possible, giving you the ability to make some money off different speculations. Does every hot star make it to the bi time? Not at all. One of the top reasons why players don’t make it big is injuries. Basketball is a very fast paced sport, and it’s possible for injuries to crop up. The team will have trainers and doctors to monitor injury treatments, but you still want to see how a player performs afterward. Knee injuries are the most common, and sometimes the hardest to heal from. Finally, you want to look closely at different betting types. Are you always a straight bet guy? Why not move over into over/under, which is a bet on how many points the team of your choice will be over or under at the conclusion of the game. Or you might want to get into parlays, teasers, or totals. There are so many different types of bets that you’re bound to find something that you like. Check it out today, while it’s still on your mind!